Any Size12" x 16.5"12"x12"9" x 16.5"
Industrial Wipers that stand up against the toughest jobs. Our selection of industrial wipers includes options designed for even the toughest wiping tasks in general manufacturing and maintenance applications. Tackle a variety of wiping and cleaning jobs with wipe solutions for industrial applications including Automotive, Food-processing, Printing, Marine, Laboratories, Aerospace, and General Maintenance. We stock a variety of quality and cost-effective industrial wipers. 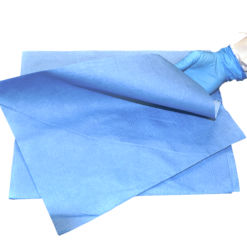 Options include large shop wipes, blue industrial wipes, delicate task wipers, and environmentally friendly wipes. Our selection of industrial wipers meets a variety of quality measures such as durability, effectiveness, and absorbency.